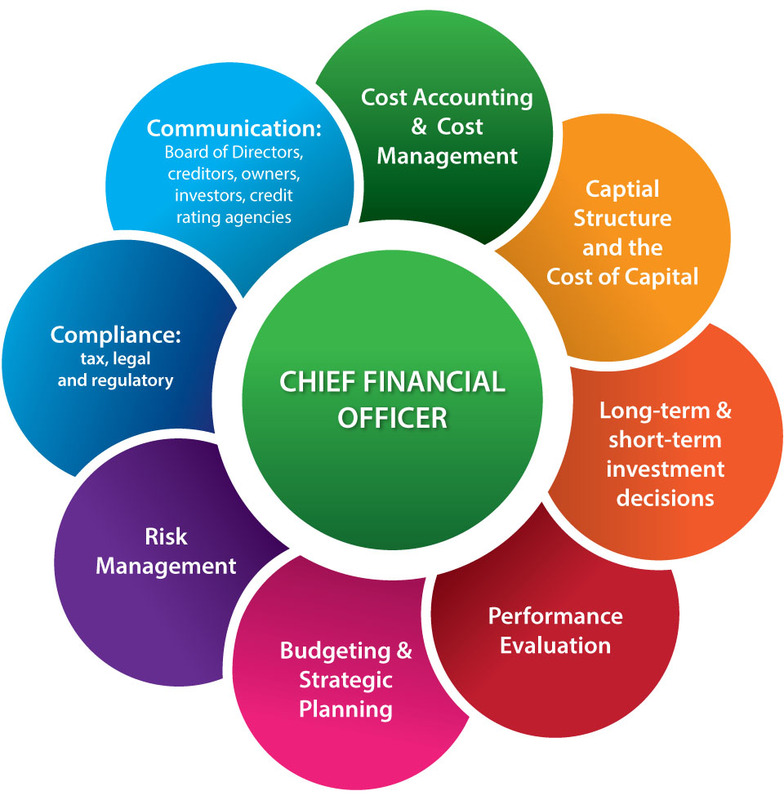 * Develop financial organizational strategies by contributing financial and accounting information, analysis and recommendations to strategic thinking and direction of the company. * Establish functional objectives in line with organizational objectives. * Establish financial operation strategies by evaluating trends, establishing critical measurements, determining production, productivity, quality and customer service strategies and designing financial systems. * Develops organization prospects by studying economic trends and revenue opportunities, projecting acquisition and expansion prospects, analyzing organization operations, identifying opportunities for improvement, cost reduction and systems enhancement as well as accumulating capital to fund expansion. * Develops financial strategy by forecasting capital, facilities and staff requirements,identifying monetary resources and developing action plans. * Monitors financial performance by measuring and analyzing results, initiating corrective actions and minimizing the impact of variances. * Maximises return on invested funds by identifying investment opportunities, maintain relationships with the investment community. * Reports financial status by developing forecasts, reporting results, analyzing variances and developing improvements. * Updates job knowledge by remaining aware of new regulations, participating in educational opportunities, reading professional publications and maintaining personal networks. * Masters in Applied Accounting/Finance/International Finance. * Analytical, process oriented, structured in approach, performance focused. * Innovative and out of box thinker; strong communication capability, Language skill in English,high energy, passionate and inclination to work with diversified teams/people.